Services | Pearl Hungary Kft. In healthcare communication we do everything in our power to utilize the traditional BTL communication channel in the most unique way to help our clients. You can learn more by clicking on our individual services. In today’s world integrated communication plays a key role. The goal of integration is to send convincing, valid messages that strengthen each other via several different channels to our target groups, thus increasing the effectivenes and efficiency of the communication. Our goal is to create a form of communication that suits the long-term PR and corporate marketing activities of our clients. Using the synergy between and the strengthening quality of the elements of the communication-mix we create communication packages making sure that we deliver uniform messages to our target group. In the healthcare sector we put together and carry out integrated (primarily BTL) campaigns developing the most effective communication mix to achieve our specific goals. Telemarketing and direct marketing plays a significant role in our communication packages. Personal contact via tele- and direct marketing ensures continuous impulse towards physicians as a direct, fast and cost effective solution. Working with these tools and timing the use of them result in successful message delivery and satisfied clients. Beyond these solutions we also work with comprehensive CRM programs. Through these tools we provide a way to build patient clubs, to carry out patient education and direct marketing programs. In the quickly changing market environment choosing the right strategy for handeling customers is key. To be successful the satisfaction rate of cusromers needs to be increased. With combining our experience in customer service with our knowledge gathered in the healthcare sector we are able to support the optimalization of the sales and marketing functions of our clients. To this end we provide complex services primarily in the form of BTL solutions, but we work with ATL solutions as well as needed. Often a more efficient and cost effective way of targeted communication is message delivery vi phone, in which we have significant experience. We carry out our TM campaigns with operators specializing in the field of healthcare, especially toward physicians and patients. In the healthcare sector telemarketing can be an effective tool for contacting a target group before the season, validating the introduction of a new product or indication circuit, informing the group about changes in price or conditions of subsidy. In addition to delivering messages there is usually a possibility for targeting a specific group and for updating current physician databases. Through our system we provide direct marketing solutions which makes us able to deliver mass messages to a specific target audience in the most up-to-date and time efficient way. We provide medical meteorology services to family physicians and specialists among others. Doctors are informed via short messages about current changes in weather and their physiological effect. We organize medical conferences carrying out all steps from invitations to organizing the events. We inform selected physicians about the conference, and help with registration in case of positive feedback. We create and manage the registration database of the event from the first check-in up until the end of the conference including registration at the actual venue. We provide invitations, reminders, program brochures and other print materials with planning, implementing, mailing graphic design elements as well. Finding the most suitable venue based on the need of our client. Organizing social and cultural programs for conferences. The professional patient education program delivered by us is the missing piece to achieve the highest level of patient-collaboration, concordance. Concordance is a form of collaboration where there is a comprehensive consensus between patient, physician and healthcare professionals that includes all major elements of treatment. Based on our practical experience the traditional compliance approach that assumes the patient in a passive role is inadequate for a successful patient-collaboration. The adherence programs managed by Pearl Hungary reflect the most up-to-date, patient-oriented perspective which leads to patient adherence and loyality to the specific therapy. We put a significant emphasis on the internal motivation, health consciousness of the patients and their willingness to get healthy. This way the project adds to the growth of presistence, which is one of the most important indicators of adherence. Introducing a well-planned adherence program, or correcting one brings immediate results. It significantly effects including new patients and keeping current ones as well. What can be done by healthcare professionals to increase adherence? Win the trust and satisfaction of the patient, this is in itself a significant step towards better adherence. At the beginning of treatment patients need to be informed in an extensive and professional manner, this can set a lot of doubts at rest. Never diss another colleague’s professional recommendation while prescribing medication, since this would hurt your professional authority and adherence as well. Convince patients that prescribing the medication is not unnecessary, and give practical advice on how to take the pills regularly, draw attention to the consequences. 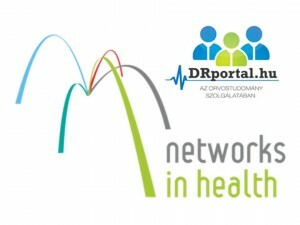 A DRportal.hu was launched 1 May, 2009 with the goal of being the first in Hungary to offer unique opportunities in online communication bringing new prospects into the world of professional medical communication. Through specific sub-pages for 13 different medical specialties targeted communication can be carried out. Continuous monitoring of professional campaigns, measurable results. Our special aim is to emphasize the importance of interactivity and the role played in buliding communities. 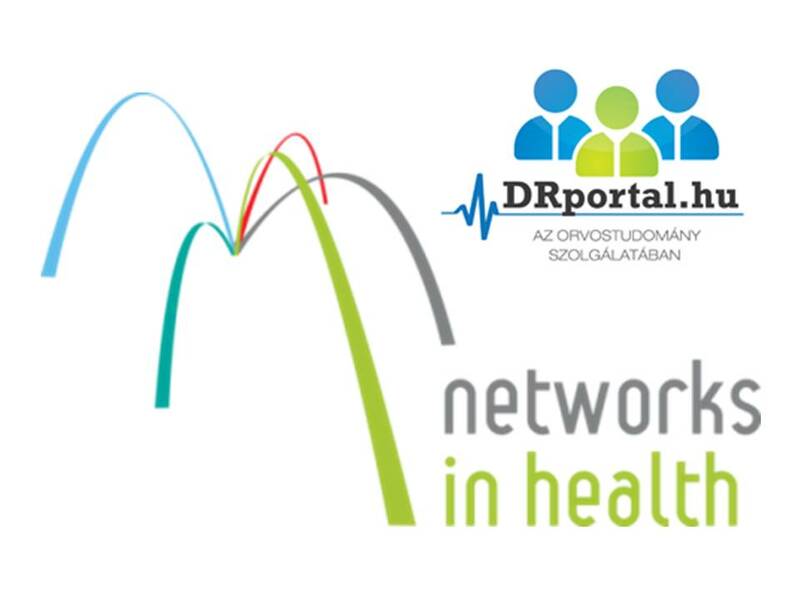 The goal of DRportal is to provide reliable, high quality and current product information and research findings for professionals and to make indispensable professional information and thematic databases available and easily accessible for the medical community. To help reach these goals DRportal joined Networks in Health, an association of independent online medical communities in 2013. The portal provides registered members a reliable and user-friendly platform for communication. In case you do not have the necessary medical qualifications, please click here for further information. To visit Drportal.hu please click here. How to connect with new physicians, pharmacists? What and how to communicate to physicians and pharmacists? How to keep current partner physicians and pharmacists? How to tell if our partners are satisfied with our services and products? What to do to reach a higher level of client satisfaction? We believe, that we can answer all of these – and any other similar – questions and we can provide special, customized solutions for all marketing problems of our clients helping to make the right business decisions using our professional experience gained in the pharmaceutical industry. What influences physicians and pharmacists while priscribing, selling medications? What kind of attitude do patients have towards a specific product or agent? What influences and how the collaboration and adherence of patients? What kind of possibilities does a product or agent have on the market? How effective was a delivered communication activity? From what aspects is it necessary to train pharma representatives visiting physicians and pharmacists? Based on our research experience, professional knowledge of the market and consultant competences we not only provide data, graphs, charts and studies, but we provide input that can be converted into strategies successfully used during decision making processes. We provide entire marketing programs, which include our consultants analyzing research results within the market environment, providing strategic guidelines and setting up action plans while also answering the questions of clients. For all research projects we use specifc methodology in line with the business-related questions of the clients. According to this we apply qualitative methods for understanding and exploring the business-related issues of our clients, while we use quantitative methods for strategic planning and for helping the decision making process. Based on the always changing market we continuously broaden our range of research methods to meet our clients’ needs on a level of higher quality and to ensure the proactivity making our current clients even more successful. Within our qualitative methods we put a significant emphasis on group and individual interviews. Group (traditional focus groups, conflict, creative and small groups) discussions are informal, where participants communicate and share their views based on the script built according to the goal of the research and with the help of a moderator. As a necessary tool for these kinds of studies our company has a room with a built-in one-way mirror ensuring the effectiveness of the research and offering an opportunity for our clients to look into the discussion in real time. Individual (deep, professional) interviews are carried out with the help of carefully selected, qualified, experienced colleagues making sure not to influence respondents any way. We also provide a peaceful, calm environment necessary for these interviews. We work with pre-written interview structures approved by the client (4-5 pages long with open-ended questions according to the current situation). Among our quantitative studies we carry out in-person, phone or independently completed surveys according to the current task. Our surveys are created according to the specific topics and questions, which are answered in a print (paper-based), or electronic (computer terminal, online) format. Processing the data is completed with an online system and qualified colleagues at our data processing system. The basis of our telemarketing activity is provided by our own call center, where 25 trained operators specialized to the healthcare sector provide services, since we know that communication with medical professional requires unique professional knowledge. Based on the need of our clients we also carry out secondary research as well, to compliment our primer studies and to explore a field, special market, and to provide, compare detailed actual traffic information (IMS) and research results. To create the correct sample for our studies up-to-date databases are required. We regularly update, check our current databases and with the help of our research we add more and more target groups to our system. We usually present our studies, results and explain the data in terms of the market environment during in-person meetings. These demonstrations – and based on specific demand during further presentations – provide an opportunity for consultation, where we can help to make strategic decisions according to the results, and to build the findings into everyday business procedures.